Home/Blog, E-commerce/Why use Hipay Wallet for your E-commerce website? Once you have decided to expand your internet business and create an online shop the first thing you need to do is to choose an Ecommerce platform like Woocommerce, Magento, Prestashop, WP Commerce, Os-Commerce, Zencart etc. Ogone is the most well-known and the first that springs to mind, however there are of course other solutions like Hipay Wallet which are worth taking a look at. At VisitOnWeb we create Ecommerce websites for small businesses (SMEs and sole traders) who work with tight budgets and are particularly sensitive to any ongoing costs. The monthly subscription to Ogone cannot be considered to be negligible, so we have researched alternatives for our clients. Hipay Wallet very quickly established itself as THE payment solution for Small businesses. Unlike Ogone, opening a Hipay Wallet account it completely free and above all there are no ongoing charges. If you don’t sell anything you don’t have to pay anything. Hipay Wallet only charges fees on completed transactions. 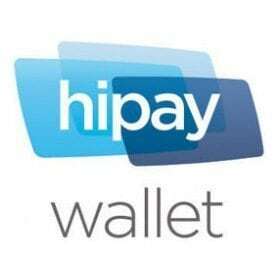 That sounds great but are Hipay wallet services comparable to Ogone’s? I can safely answer that with a big YES. You can accept more than 15 different types of payment. Is it easy to set up and install? That depends on the Ecommerce platform you have chosen to use. With Woocommerce which I particularly like, the answer is YES. It also works well with Prestashop. For Woocommerce you simply need to purchase this Ready to use extension and follow the instructions. If you would like to see the Hipay plugin for woocommerce in action please visit one of these websites created by VisitOnWeb.